Calm living—it seems like a nice concept, but in today’s stressful world is it realistic? 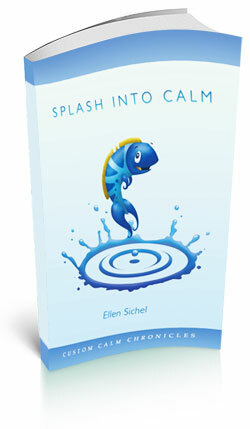 Splash Into Calm shows how you don’t have to slow down and chill out to live a life of calm. There is a plethora of concepts and techniques that take just a few minutes of your time so you can embrace each moment of your day. Adopting these methods open you up to increased joy, spontaneity, and pleasure because you are aware and alert. Ellen Sichel has designed an easy-to-follow format based on the calendar year and presented in monthly themes of four articles each. Read one entry per week, skip around to the theme that provides insight for a particular problem, or read the entire book at a pace that works for you. It’s just that easy. Why wait? You can get your e-book now, just by a click of a button. Enjoy!